06524 area Floor and Duct cleaning services. Better Carpet Cleaners serve all of Connecticut with a wide range of professional floor cleaning services. Contact one of our service professionals with live phone answering, for carpet cleaning in Bethany, CT.
We are a family-run company, owner-operated in Bethany since 1988. Our highly experienced technicians clean over 10,000 carpets per year. We pride ourselves on our honesty, reasonable pricing, and reliability. We offer services to both residential and commercial clients, and we can help with nearly any deep-cleaning project, from carpets to air ducts. We use the most advanced techniques and tools, have several top-of-the-line truck mounted steam units, and employ the most experienced and professional carpet cleaners in the area. So we can always guarantee excellent service. 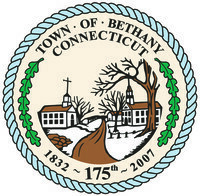 Bethany CT Carpet Cleaning Our cleaning process is designed to remove the toughest and deepest dirt and stains. Bethany CT Upholstery Cleaning Our cleaning process is designed to remove the toughest and deepest dirt and stains. Bethany CT Ceramic Tile Cleaning Our methods are highly effective, but safe and gentle, customized to your tile. Bethany CT Air Duct Cleaning Our cleaning process is designed to remove the toughest and deepest dust and debris. Serving all of Connecticut, Better Carpet Cleaners is a family operated business that was established in 1988. We pride ourselves as an honest, reasonably priced, reliable company that services both residential and commercial customers. We run seven top of the line truck mounted steam units, to provide optimal cleaning results. Want to receive emails from us? Receive the latest Sales & Specials right to your inbox. Andover, Ansonia, Avon, Baltic, Barkhamsted, Beacon Falls, Berlin, Bethany, Bloomfield, Bolton, Branford, Bristol, Broad Brook, Burlington, Canton, Cheshire, Chester, Clinton, Colchester, Collinsville, Columbia, Coventry, Cromwell, Deep River, Derby, Durham, East Berlin, East Granby, East Haddam, East Hampton, East Hartford, East Haven, East Lyme, East Windsor, Ellington, Enfield, Essex, Farmington, Glastonbury, Granby, Griswold, Groton, Guilford, Haddam, Hamden, Hartford, Harwinton, Hebron, Higganum, Kensington, Killingworth, Lebanon, Ledyard, Lisbon, Lyme, Madison, Manchester, Marion, Marlborough, Meriden, Middle Haddam, Middlebury, Middlefield, Middletown, Milford, Milldale, Montville, Moodus, Naugatuck, New Britain, New Haven, New London, Newington, North Branford, North Haven, Norwich, Oakville, Old Lyme, Old Saybrook, Orange, Oxford, Plainville, Plantsville, Plymouth, Portland, Preston, Prospect, Rockfall, Rocky Hill, Salem, Seymour, Shelton, Simsbury, Somers, South Glastonbury, South Windsor, Southbury, Southington, Stafford, Stafford Springs, Staffordville , Stratford, Suffield, Tariffville, Terryville, Thomaston, Tolland, Torrington, Unionville, Vernon, Voluntown, Wallingford, Waterbury, Waterford, Watertown, West Hartford, West Haven, Westbrook, Wethersfield, Windsor, Windsor Locks, Wolcott, Woodbridge, and Woodbury. © 2019 · Better Carpet Cleaners. All Rights Reserved.